The Heavyweight Division – Sporting Drama or Sporting Fiasco? By Jonny Rashman: The Landscape in the Heavyweight Division has not looked this exciting for the past 15 plus years. In that time boxing fans had to endure the long and tedious reign of the Klitschko brothers. There was very little drama in the ring, and certainly none outside of it. Fast forward to 2019 and the Heavyweight Division has three major players at the helm, WBO, WBA, & IBF champion Anthony Joshua, WBC Champion Deontay Wilder and former Undisputed champion Tyson Fury, all with just as much explosiveness, ferociousness and charisma in the ring as out the ring. Each of these fights have the potential to be classics, with rematches and maybe even trilogies to captivate the boxing masses. This was demonstrated when just before Christmas Wilder squared off against Fury in a controversial edge of your seat contest. The theory was proven, put these fighters in the same ring and fireworks will happen. All eyes are firmly back on the historically lucrative Heavyweight Division, after years in the wilderness. Three undefeated heavyweight superstars in their prime, the start of a new era with the elite of the division fighting each other. 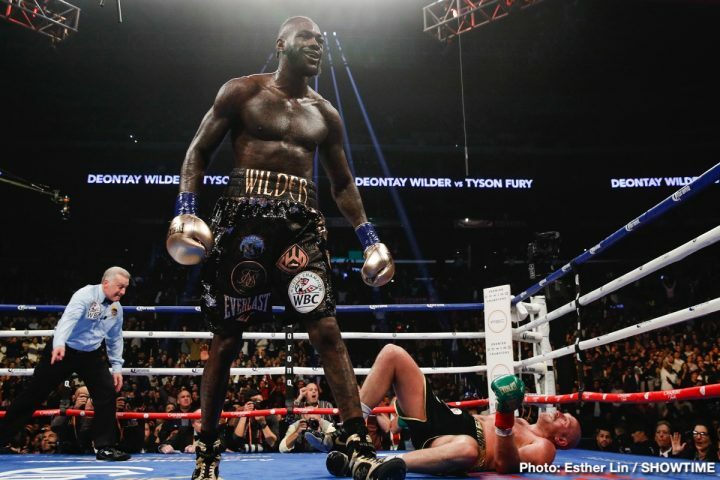 In Wilder’s own words “One Champion, One Voice, One Name,” well, that was the plan. Instead all we have been treated to is countless repetitive conversations from the fighters and their respective teams, all using the same words, percentage splits, negotiations, deadlines, $50 million offers, rematch clauses, every possible scenario apart from the fights being announced, which is what boxing fans are clamoring for. We live in a generation where society wants everything in the shortest time possible, that is no different when it comes to boxing fights being made. Gone are the days of champions avoiding each other and fighting lesser known opposition. Boxing fans simply won’t put up with it anymore, ultimately, it’s the fans 9 times out of 10 that ends up deciding who fights who. If there’s a big enough demand for a fight, it will generally happen. After all boxing is just as much a business as it is a sport. Boxing is Sporting Drama, fans are invested in their fighter’s journey in and out of the ring. Speculation about who Joshua, Wilder and Fury will fight next has reached fever pitch. Articles are being written, videos are being made, podcasts are talking about it. Yes, we want the big fights to be announced as quickly as possible, at the same time I can’t help thinking the anticipation and speculation sprinkles a bit of magic dust, which will turn these fights in to mammoth events when they eventually get made. Fury vs Wilder was proof of that. I understand there will be a great deal of boxing fans who have no interest to see fight negotiations play out in the public eye, and that’s fine. That’s what makes boxing the most exciting sport in the world, because it creates debates and divides opinion between fans. 1. Team Joshua – Eddie Hearn the Matchroom Sport kingpin who has taken British boxing to unprecedented levels. 2. Team Wilder – Al Haymon the mysterious adviser who was the brains behind boxing mega star Floyd ‘Money’ Mayweather’s success. 3. Team Fury – Hall of Fame veteran promoter Frank Warren who guided the careers of British Superstars Ricky Hatton and Joe Calzaghe. Make no mistake! these men are very experienced, savvy and have a wealth of experience in the art of negotiating mega fights. Every interview and leaked story would have been meticulously thought of to gain an advantage at the negotiating table. Boxing politics is the word that springs to mind. It’s a dangerous game that’s being played. It only takes one shot in the heavyweight division to throw a spanner in the works. Millions of pounds could be lost in the blink of an eye. Is all this fight speculation making a mockery of the sport? Are boxing fans sick of being spoon-fed conflicting information? Do we secretly enjoy the hype? Sporting Drama or Sporting Fiasco? Boxing » Anthony Joshua » The Heavyweight Division – Sporting Drama or Sporting Fiasco?